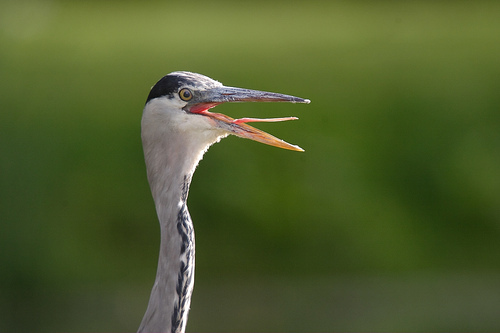 Closeup of Blue Heron with open beak. Getting close to animals like this Blue Heron almost always results in very rewarding images. When they are relaxed and don't mind your presence, they will go about their business like grooming, or in this case, yawning! Moorhen on reeds in the water with reflection. Moorhens are often confused with coots by people how are not to familier with the birds in their own backyard. Here, you can see clearly they are no where near alike. 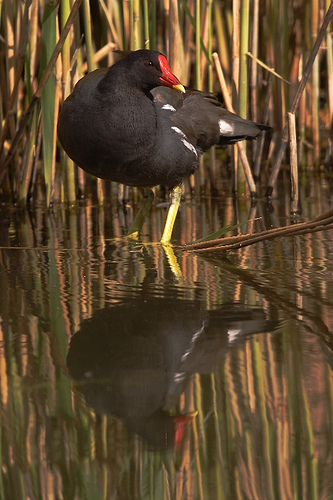 The beautifull red beak and yellow legs really stand out, where the coot has a white beak and blaze with black legs. 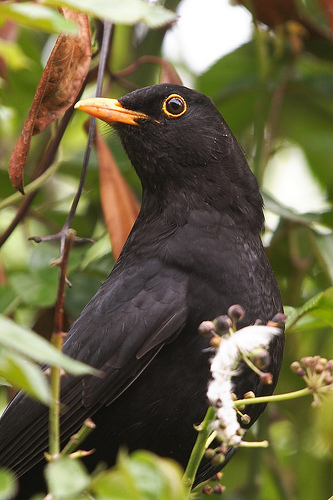 Closeup of a Common Blackbird in a shrub. This is currently the most common bird of the Netherlands. Not only a stunning bird, but also a very good songbird, so I don't mind it's huge numbers. 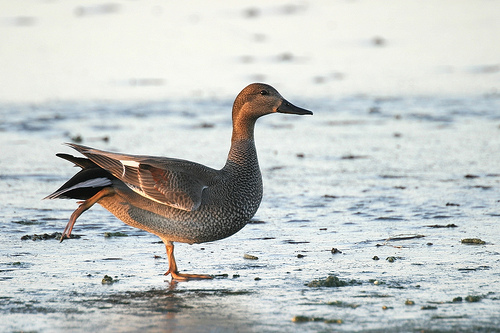 Male Gadwall on ice, stretching a leg. To the Gadwall the Agreement on the Conservation of African-Eurasian Migratory Waterbirds apply (en.wikipedia.org/wiki/AEWA). These are shy birds that usually will avoid humans.